Tip: When you find you have to add a feature to a program, and the program’s code is not structured in a convenient way to add the feature, first refactor the program to make it easy to add the feature, then add the feature. Whenever I do refactoring, the first step is always the same. I need to build a solid set of tests for that section of code. The tests are essential because even though I follow refactorings structured to avoid most of the opportunities for introducing bugs, I’m still human and still make mistakes. Thus I need solid tests. Tip: Any fool can write code that a computer can understand. Good programmers write code that humans can understand. I don’t want to proclaim refactoring as the cure for all software ills. It is no “silver bullet.” Yet it is a valuable tool, a pair of silver pliers that helps you keep a good grip on your code. 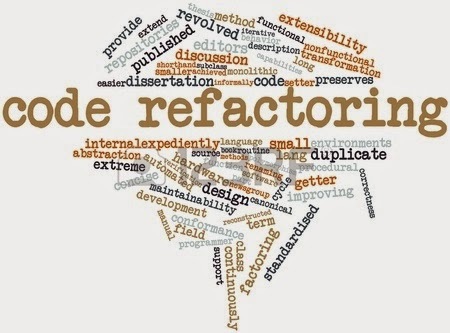 Refactoring is a tool that can, and should, be used for several purposes. Help in understanding the code also helps me spot bugs. I admit I’m not terribly good at finding bugs. Some people can read a lump of code and see bugs, I cannot. However, I find that if I refactor code, I work deeply on understanding what the code does, and I put that new understanding right back into the code. By clarifying the structure of the program, I clarify certain assumptions I’ve made, to the point at which even I can’t avoid spotting the bugs. I strongly believe that a good design is essential for rapid software development. Indeed, the whole point of having a good design is to allow rapid development. Without a good design, you can progress quickly for a while, but soon the poor design starts to slow you down. You spend time finding and fixing bugs instead of adding new function. Changes take longer as you try to understand the system and find the duplicate code. New features need more coding as you patch over a patch that patches a patch on the original code base. A good design is essential to maintaining speed in software development. 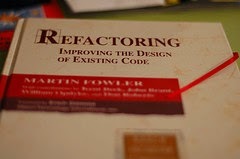 Refactoring helps you develop software more rapidly, because it stops the design of the system from decaying. It can even improve a design. In almost all cases, I’m opposed to setting aside time for refactoring. In my view refactoring is not an activity you set aside time to do. Refactoring is something you do all the time in little bursts. You don’t decide to refactor, you refactor because you want to do something else, and refactoring helps you do that other thing. In fixing bugs much of the use of refactoring comes from making code more understandable. As I look at the code trying to understand it, I refactor to help improve my understanding. Often I find that this active process of working with the code helps in finding the bug. One way to look at it is that if you do get a bug report, it’s a sign you need refactoring, because the code was not clear enough for you to see there was a bug. There are times when you should not refactor at all. The principle example is when you should rewrite from scratch instead. There are times when the existing code is such a mess that although you could refactor it, it would be easier to start from the beginning. A clear sign of the need to rewrite is when the current code just does not work. You may discover this only by trying to test it and discovering that the code is so full of bugs that you cannot stablilize it. The other time you should avoid refactoring is when you are close to a deadline. At that point the productivity gain from refactoring would appear after the deadline and thus be too late.